Going on a vacation doesn’t mean spending more or leaving the city. 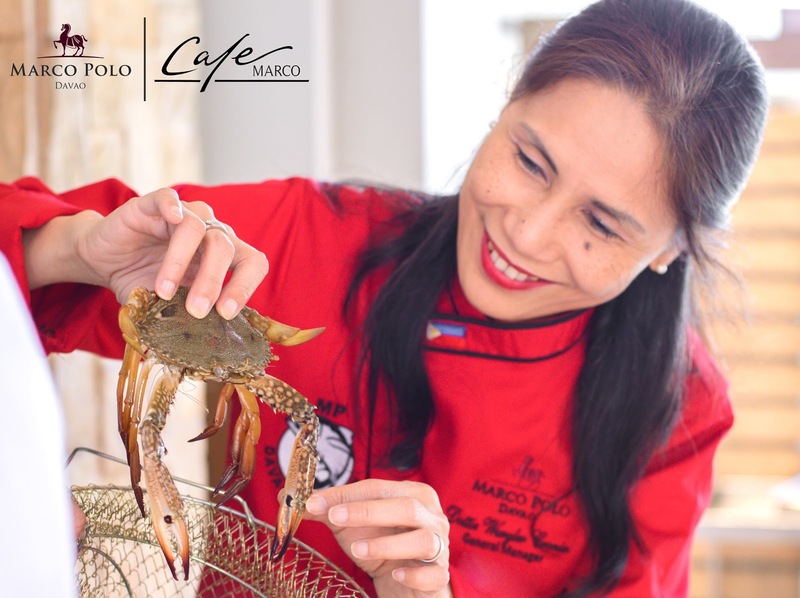 The Heart of Davao makes this season extra exciting with summer flavors and events at Marco Polo Davao’s restaurants and bars. At Cafe Marco, the Seafood dinner buffet will swoon palates every Friday and Saturday until April 29. The culinary team puts a fun meaning to Seafood Diet—when you see food, you eat it! The abundant choices of seafood like crabs, shrimps, shellfish and various fish can be enjoyed in different ways prepared according to the guests’ preference. Available for Php1500 per person. For families with kids who want to enjoy the night sky by the pool, The Deck opens Fire and Ice event every Friday and Saturday night (at Php1300 per person). The event includes buffet of grilled items like lamb chop, tiger king prawn, sausages and chicken with unlimited serving of local beers while enjoying the thrilling fire dance entertainment by the Subak Fire Dancers. Executive Chef Alex Destriza and his culinary team also showcased their creative dishes during the Flavor Fusion: Davao on a Plate as part of Department of Tourism’s Flavors of the Philippines campaign. Highlighting a truly Mindanao product Saranggani Bay, Marco Polo Davao served guests with Saranggani Bangus Sardine mac and cheese (Malagos goat and cheddar cheese) and Spiced coconut bangus belly with toasted smoked bangus powder prepared through baking for three hours. “With the positive feedback from the public during the event, we are considering to incorporate these dishes on our menu. It’s our direction in Marco Polo Davao to maximize local ingredients in our food items to highlight the flavors of Mindanao” says Chef Alex.